You looking at me?! 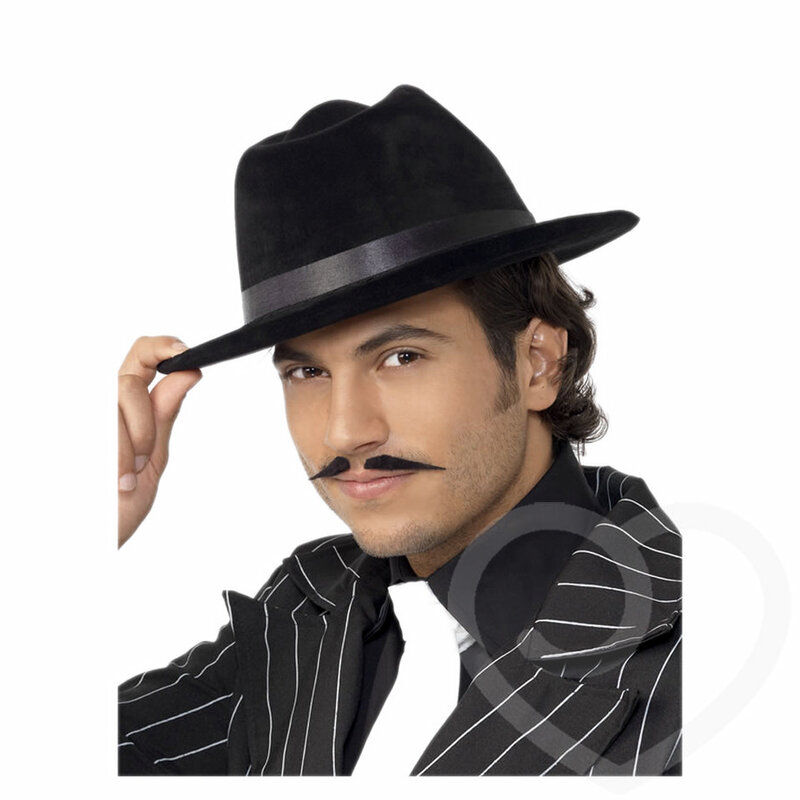 This gangster hat is a must-have accessory for a fancy dress gangster costume. Join your hen party mob and look the part on a gangster-themed hen do or to add a little fun to your costumes. 12.5 inches long by 4 inches high. After trying to think of a way to hide my identity in pictures, I came across this in the sale from £6.50 down to £2 with free delivery, a complete steal! With Lovehoney's speedy delivery, I didn't have to wait long to try it out. There is no packaging at all with this hat, it simply came as it was in a Lovehoney box. The hat is made of a felt material with a ribbon around the base, inside the hat in a satin material. However, it doesn't look as good as the one in the picture and it doesn't feel that great quality either. The hat fits quite well but it is a bit big. However, I have a very very small head, like child sized and so it would probably fit most people fine. The OH has a normal sized head and it fits him fine. Overall, the hat is good for dress up and spicing up pictures but due to the less than great quality it really is only a novelty item. However, for £2 including free delivery it is still a great price. Cheap and fun dress up hat. Quality and it's a bit big. Cheap hat for dress up but not great quality.